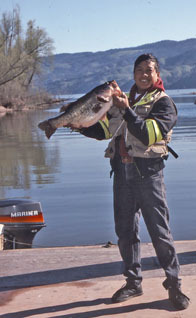 The bass fishing is so good that the professional bass fishing organizations have designated Clear Lake as the top rated bass lake in the nation. 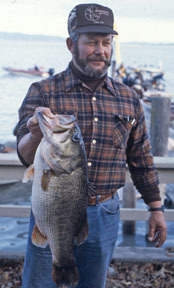 The lake record for largemouth bass to date is 17.52 pounds . Clear Lake hosts numerous fishing tournaments throughout the year. 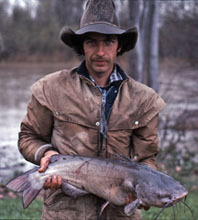 Other game fish include catfish, Sacramento perch, crappie, bluegill, and carp. 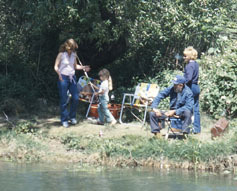 Fishing is a popular activity in the park. Fishing access is available throughout the park -- from the shoreline of all three creeks, the two footbridges, and lakefront access areas of Kelsey Creek Campground (park only in day use areas). Fishing is prohibited at the boat launch docks and the boat slips, the swim beach area, and the vehicle bridge. Bait and fishing supplies are available at the general store (link).